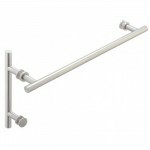 Single and Double sided Robe Hooks provide an elegant and practical addition to the bathroom. Our glass door locks have indicators to add secrity and privacy. Thumbturn inside changes color of exterior indicator. 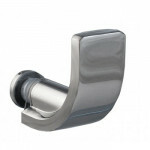 Support bars secure curtains and glass panels in a bathroom environment. Ideal for Use as a Shower Curtain Rod.